We are proud and excited to be a part of such a continuously ground-breaking event that recognises, empowers and awards women for their contribution across sectors. As a women led African firm, we strive to tell compelling African stories of impact, an attribute that we share with the Forbes brand, says Group CEO, Mimi Kalinda. Though being a small consultancy, ACG works with top tier clients across Africa who are passionate about telling their stories the African way says, MD, Nonye Omotola. The Forbes Woman Africa – Leading Women Summit is a natural fit for our brand especially as we celebrate International Women’s Day. We look forward to connecting with other influential women from across Africa and showcasing our reason for being, which is developing and implementing, culturally-attuned and effective communications strategies for a complex continent. ACG premieres its TV advert from 7th March on CNBC Africa and across all its platforms. Next: Multisignature Wallet Is Crucial To You. Learn Why! 06 March 2019 – On March 4, 2019 Séché Environnement Group (via its wholly owned subsidiary Séché South Africa Proprietary Limited.) acquired 100% of all issued shares of Interwaste Holdings Limited which has been delisted from the Johannesburg Stock Exchange (JSE). Through this acquisition, Séché Environnement is entering the South African markets to respond to local clients’ growing waste management needs and to support the development of this region’s waste market toward the circular economy. By combining the complementary expertise of these two family-owned businesses built on social and environmental values, this transaction accelerates Interwaste’s growth in its markets by offering innovative waste-management solutions to industrial and municipal clients – and creating a new international operator in the circular economy and waste management in South Africa. Building on nearly 40-years as an internationally recognised waste management expert, Séché Environnement uses the most advanced technology for waste recovery and treatment, particularly hazardous waste, and most advanced expertise in decontamination and site rehabilitation. Founded in 1989, with about 2000 employees, Interwaste is a major regional integrated waste management operator and relies on industrial and municipal waste treatment expertise that conforms to the highest environmental standards, efficient logistics, and a philosophy of innovation and continuous improvement. As an expert in the circular economy, Séché Environnement will reinforce Interwaste’s strategic approach to material and energy recovery to meet the region’s current regulatory challenges and imperatives. As an expert in industrial waste, Séché Environnement intends to provide its skills in the treatment of hazardous waste such as PCBs, mercury and pesticides, in particular for the mining, petrochemical and food processing industries, in keeping with the applicable regulatory requirements. Séché Environnement first announced its plan to acquire Interwaste on November 2, 2018. After Interwaste shareholders gave their virtually unanimous approval on January 9, 2019, the South African competition authorities approved the deal, which was finalised on March 4, 2019 with the transfer of 100% of the shares to Séché Environnement, and Interwaste’s delisting from the JSE. This acquisition fits in with Séché Environnement’s strategy to increase its presence in the new international waste management markets, particularly in the emerging economies. The Group aims to make the most of their strong growth potential driven by very favourable demographic, economic, environmental, and regulatory trends. Séché Environnement currently operates in 15 countries with nearly 2400 employees, mostly in Europe and South America. In South Africa, as in many countries around the world, controlling waste management – which includes analysis, logistics, recycling, recovery, treatment and, if necessary, storage in classified facilities – is essential to protecting the environment. Séché and Interwaste will contribute to the sustainable development of South Africa’s economy and population, by investing in new technology and applying stringent environmental standards, thereby creating wealth and jobs for the country. “Each of the 15 countries in which we are currently operating has its own regulatory approach. We are well aware of our social responsibility, and we will fully support Broad-Based Black Economic Empowerment (B-BBEE) in South Africa. Séché intends to adhere to the B-BBEE principles, thus doing its part to promote equality in South Africa,” notes Maxime and Guillaume Séché, sons of Joël Séché, founder and CEO of Séché Environnement. Séché Environnement’s ambition is to further the development of Interwaste and the diversification of its activities with the objective of protecting the populations and the environment in South Africa. “It is gratifying to welcome Interwaste into the Group. It will be a growth platform for Séché Environnement throughout Southern African and beyond,” adds Joël Séché. Previous: The Night Harvest 2019 – Huge BMX and MTB Event – In Hout Bay This Weekend. Her message of inclusivity in development and calls for effective service delivery will resonate with many of the attendees to this year’s FORBES WOMAN AFRICA Leading Women Summit – hosted by KwaZulu-Natal Provincial Government. 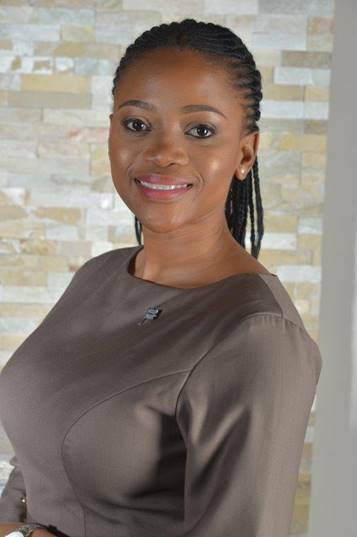 Bogolo J Kenewendo, Botswana’s Minister of Investment, Trade and Industry, will join the speaker programme alongside influencers in business, sports, science, entertainment and leadership at the fourth annual summit, taking place at Durban’s Inkosi Albert Luthuli International Convention Centre on Friday, 8 March. Methil Renuka, Managing Editor of FORBES AFRICA and FORBES WOMAN AFRICA, and this year’s host, said one of the summit’s aims was to represent the enormous impact young women are having on the continent. Kenewendo achieved an MSc in International Economics from the University of Sussex in the United Kingdom through the Chevening Scholarship. She went on to partner at leading consultancy, Econsult Botswana, a working locally and within other southern African countries. She later joined the Ministry of Trade in Ghana as a trade economist. She has been a frequent commentator on the economics of Botswana and Southern Africa through her contributions to many academic papers; on-air through her radio show entitled ‘The Multiplier Effect’; and in print through her newspaper column called ‘Game Theory’. In 2016, she was appointed the Minister of Investment, Trade and Industry in Botswana, serving cabinet as a minister, and parliament as a specially elected member. At the age of 30, she was the country’s youngest member to serve in the current cabinet and parliament, and she’s the youngest female member of both institutions in the country’s history. Minister Kenewendo also serves in the United Nations Secretary General’s High-Level Panel on Digital Co-operation. Throughout her career, Kenewendo has drawn on her expertise in trade and investment policy, macroeconomic policy, public debt management, regulatory and institutional frameworks for policy formulation, as well as private sector capacity building and development. She promotes inclusivity in development and seeks to ensure services reach people in a timely manner, strongly advocating the message: ‘Leave no-one behind’. She has been honoured with many accolades in Botswana and internationally, including the title of 2018’s 100 Most Influential Africans by New African Magazine and the Ten Outstanding Young Persons (TOYP) award by JCI Botswana, among many others. Minister Bogolo J Kenewendo will be joined by many influential speakers at the FORBES WOMAN AFRICA Leading Women Summit, hosted in association with ABSA, the IDC, Women of Africa and supported by Delta Air Lines, Nespresso and Carrol Boyes. These include the headline speaker, Naomi Campbell; CEO panellists Basani Maluleke, Grace Harding, and Nozipho Sithole; Minister in the Presidency responsible for Planning, Monitoring and Evaluation, Nkosazana Dlamini-Zuma; former Miss Universe, Demi-Leigh Nel-Peters; and spotlight speakers Kgothatso KG Montjane, Simidele Adeagbo, Dr Portia Gumede, and Noëlla Coursaris Musunka. South African Paralympian and a global inspiration, Kgothatso KG Montjane, will address attendees during her ‘In the Spotlight’ panel discussion at this year’s FORBES WOMAN AFRICA Leading Women Summit (#LWS2019KZN), hosted by the KZN Provincial Government in association with ABSA, the IDC, Women of Africa and supported by Delta Air Lines. Her empowered talk forms part of a dynamic programme themed ‘New Wealth Creators’ which is taking place on International Women’s Day – Friday, 8 March – at Durban’s Inkosi Albert Luthuli International Convention Centre. Her journey to the Wimbledon semi-finals in 2018 is one of indelible human strength that will serve to inspire young women for years to come. Born in Polokwane, Limpopo in 1986 with a congenital birth defect, Montjane’s success has not been impeded by life in a wheelchair. At 12 years old she had a single amputation below the knee and, at 20 years old – after receiving the necessary equipment – she began her tennis career. Working with her tennis coach, Gerald Stoffberg, at Pretoria Boys High – where she currently trains – Montjane has proven herself an international-level athlete, breaking barriers wherever she goes. She represented South Africa at the 2008, 2012 and 2016 Paralympics, reaching the quarter-finals at the 2013 Australian Open and semi-finals at Wimbledon last year. Arguably one of the country’s most successful athletes, Montjane was the first African tennis player to compete in the NEC World Singles and Doubles Masters, as well as the first African tennis player to reach her level at the Australian Open and Wimbledon. 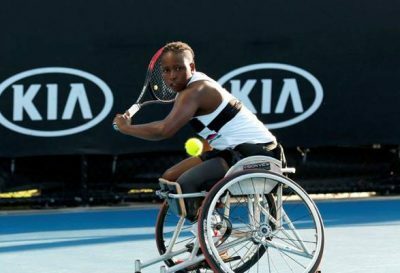 She is currently ranked No.1 in Africa – a title she’s held for 11 consecutive years – has been No.1 in South Africa since 2007, and is No.6 on the ITF World Wheelchair Tennis rankings. Montjane will give a talk during this year’s FORBES WOMAN AFRICA Leading Women Summit for ‘In the Spotlight’ – based on a 10-minute format of storytelling in an engaging, impactful slot. She will be joined by three other inspired speakers; Simidele Adeagbo, Dr Portia Gumede, and Noëlla Coursaris Musunka. Recognised as one of the most influential young Africans in 2018 and honoured on the Okay Africa 100 Women List, Bustle’s List of Black Women History Makers and Guardian Woman 100 Most Inspiring Leading Ladies in Africa, Simidele Adeagbo has made a global impact for all the right reasons. This trailblazing Olympian made history at the 2018 Winter Games when she became the first Nigerian winter Olympian, and first African woman, to compete in Skeleton at the Winter Olympics. As a marketing executive at Nike Inc., Adeagbo worked as a creative force to drive this global brand. She is an advocate for female and youth upliftment, formulating leadership and sports’ master classes to enhance leadership skills, and she represents these causes in her role as ambassador for the Malala Fund and as a member of the inaugural class of the Obama Foundation Leaders: Africa Program. The founder of the Dr P Aesthetic Lifestyle Centre in Hyde Park, Johannesburg, Dr Portia Gumede’s passion for dermatology led her to launch this elite aesthetic lifestyle centre which offers a selection of wellness treatments for men and women of all races. A medical doctor, Gumede went on to study Aesthetic Medicine through the American Academy of Aesthetic Medicine (AAAM), becoming the first accredited black South African trainer for the Galderma brand. She has just completed her Masters in AAAM and continues to encourage people to not only feel confident, but also comfortable in their own skin. Named one of the BBC’s 100 most Influential and Inspirational women of 2017 and an award-recipient from the House of Mandela at the Nelson Mandela centenary celebration, Musunka is an advocate for female education and empowerment within the Democratic Republic of Congo (DRC) through her non-profit, Malaika. In addition to her philanthropy, Musunka is an international model, using her global platform as a way to promote human rights on the African continent. Her NPO consists of a school providing quality education to 314 girls; a community centre with a range of programmes for 7 000 people; and a clean water programme that provides more than 30 000 people a year with fresh water. Since 2017, she has served as ambassador for The Global Fund to Fight AIDS, Tuberculosis, and Malaria and, in January of this year, she collaborated with fashion designer, Roksanda, and The Outnet, to launch an exclusive clothing collection with proceeds supporting Malaika. In addition to the ‘In the Spotlight’ feature, daytime networking, one-on-one interviews and panel discussions consisting of internationally-renowned female leaders, attendees to the summit are invited to the FORBES WOMAN AFRICA Awards’ – a dinner celebrating who have made a remarkable impact in the business, sports, science, entertainment and leadership categories. The dinner will take place at Durban’s Inkosi Albert Luthuli International Convention Centre.